The festive season is upon us and it is definitely one of our favorite seasons with all the merriment, joy, and gift-giving session! 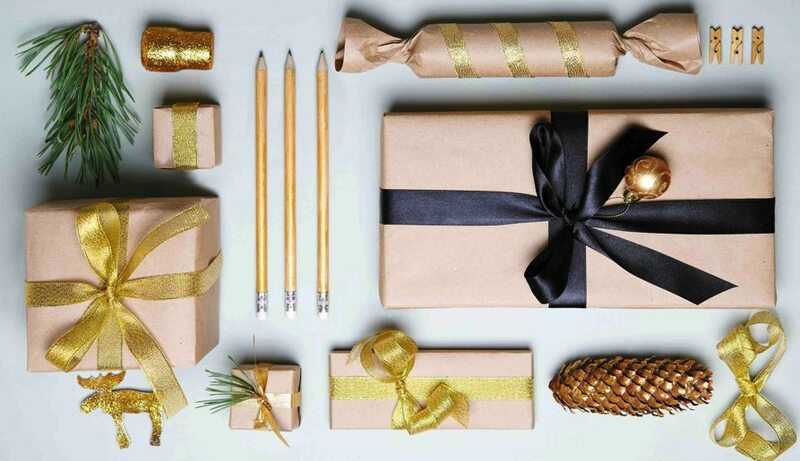 Still scratching head not sure what to get for your BFF this coming festive holiday? Fret not cuz we’ve got you covered. 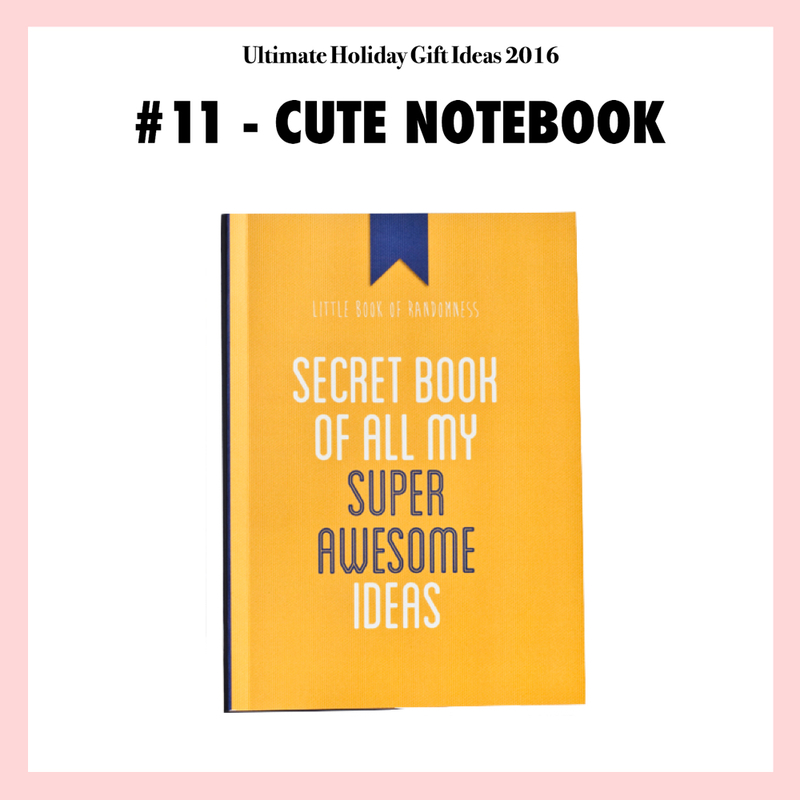 Whether your girlfriend is a fashion chic, girlie girl, or a stationery freak, I’ve rounded up a list of ultimate holiday gift ideas for your #girlsquad! These specially handpicked holiday gifts are so thoughtful your girlfriend would definitely scream with joy and tears the moment they receive it. Trust me. Plus, it doesn’t cost a big hole in your wallet too! 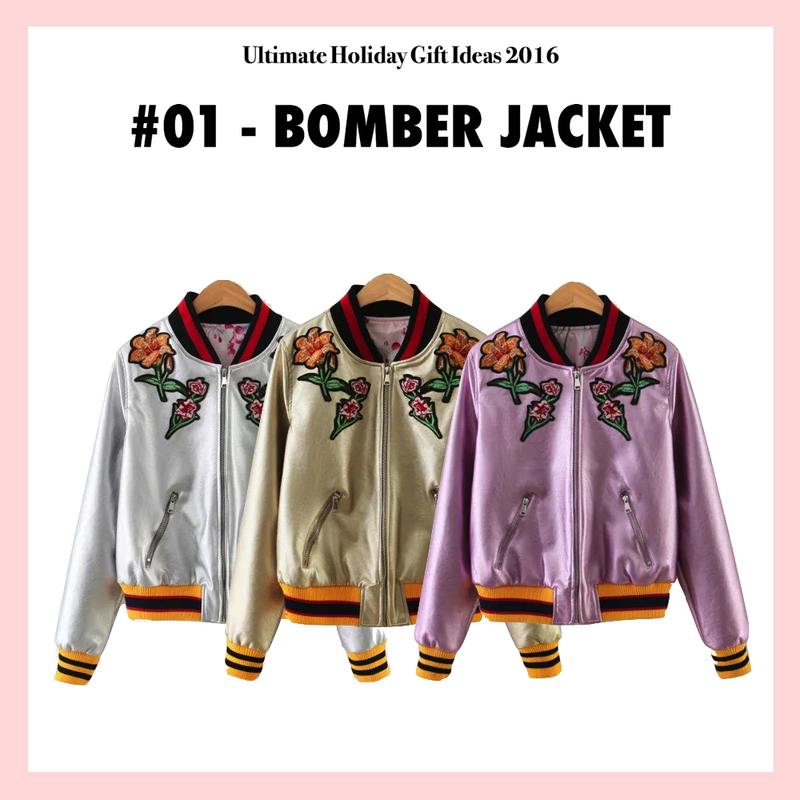 While bomber jackets are making a huge wave in the fashion scene, it could be a perfect gift for that one friend who is highly conscious about fashion. Though she might already have one or two bomber jackets in her fashion wardrobe, but not this one-of-a-kind statement-making bomber jacket! This specially handpicked bomber jacket comes with sixties-vibing floral embroideries, striking metallic color, a zip-up closure, and two functional zipper pockets at the front. Flashy but not trashy, this metallic tone bomber jacket will have your friend looking incredibly stylish wherever they go. If you think this bomber jacket is too flashy for your friend, shop more on-trend bomber jackets from Luulla’s top picked collection by clicking the button below! You’ll be sure to find one that’s perfectly suitable for your trendsetter friend. 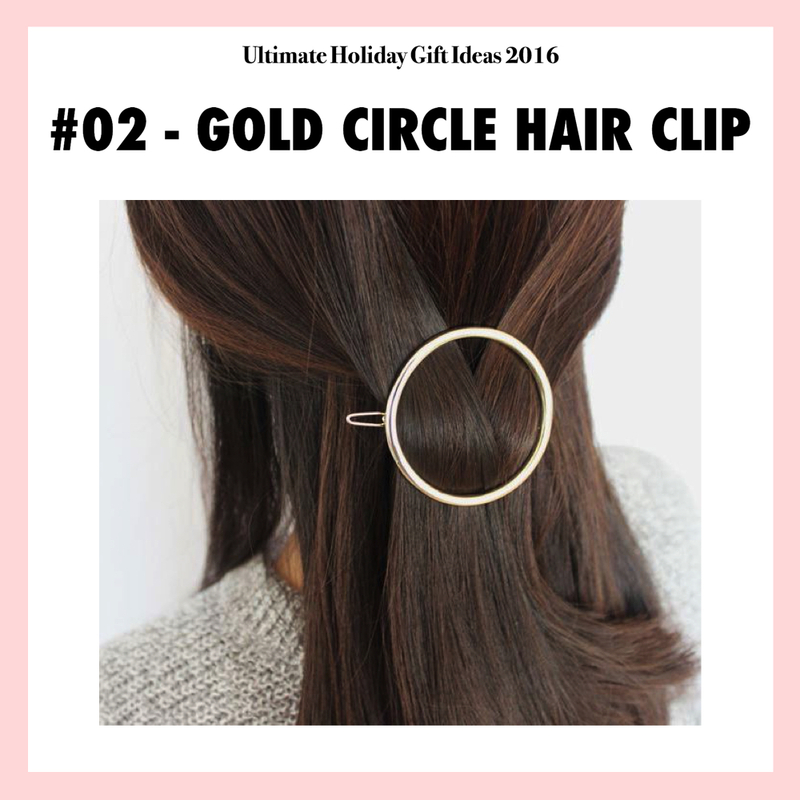 Elevate your best friend’s hair game with this sleek and minimalist gold circle hair clip! With gold-tone finish and an open circle ring design, this hair clip is the crowning glory for all occasion. A perfect gift for that one friend who loves hair accessories and isn’t afraid to play around with different hairstyles. Explore more about exquisite hair accessories from Luulla’s handpicked collection! Have that one hipster girlfriend who adores all kinds of chic accessories? Give her a velvet multi-layer choker necklace to fix her crave! Forget about tattoo chokers, lace chokers or wide satin chokers. This all-in-one multi-layer choker comes with a velvet choker and a thin gold-tone necklace bar which is definitely a steal for that one special friend. A clever mix of fabric and metal, this choker is guaranteed to get your friend turn heads instantly. For more varieties of choker necklace, click the button below to shop more for your friend, or perhaps for yourself! I guess this phone case says it all. For that one friend who constantly annoys you to death but you could never hate her, this phone case will express it perfectly for you. 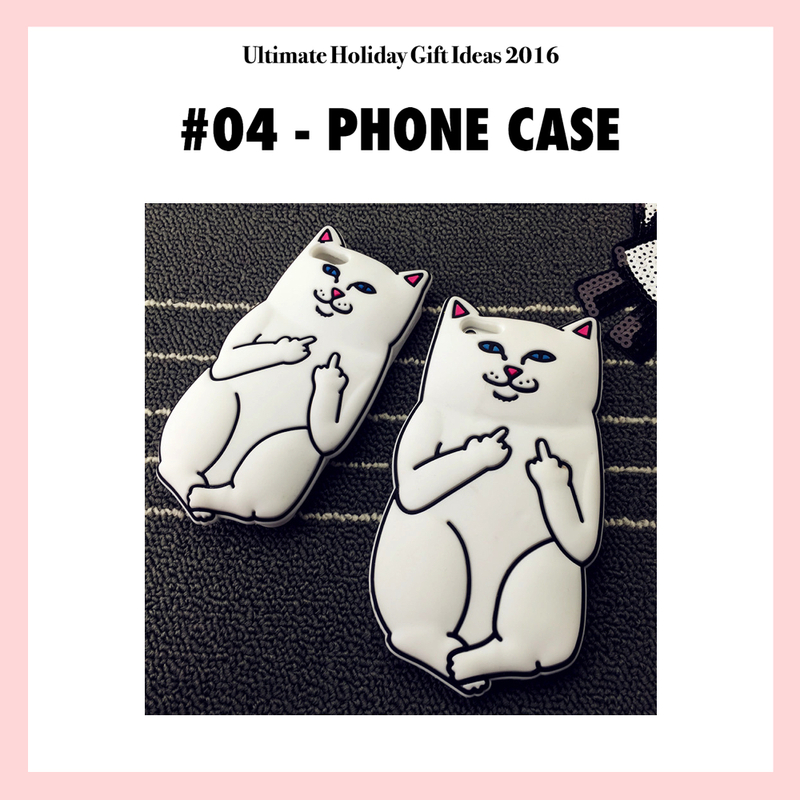 A naughty yet funny iPhone casing that will sure to make your friend LOL. Plus, it offers great protection against everyday bumps and scratches! If you think this phone casing is too harsh for your fragile-hearted friend, explore more chic phone cases by clicking the button down below. 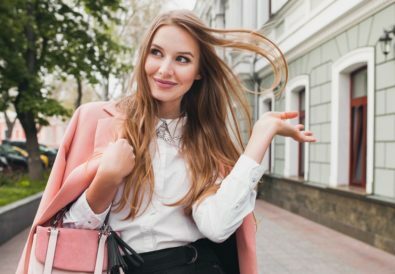 Ballerina shoe trend is all the rage this season and this is the reason why you should get one for your non-dancer friend. If you have that one friend who isn’t a heel-person or a sneaker-person, the best option is by getting her a pair of comfy yet girlie ballerina flats. 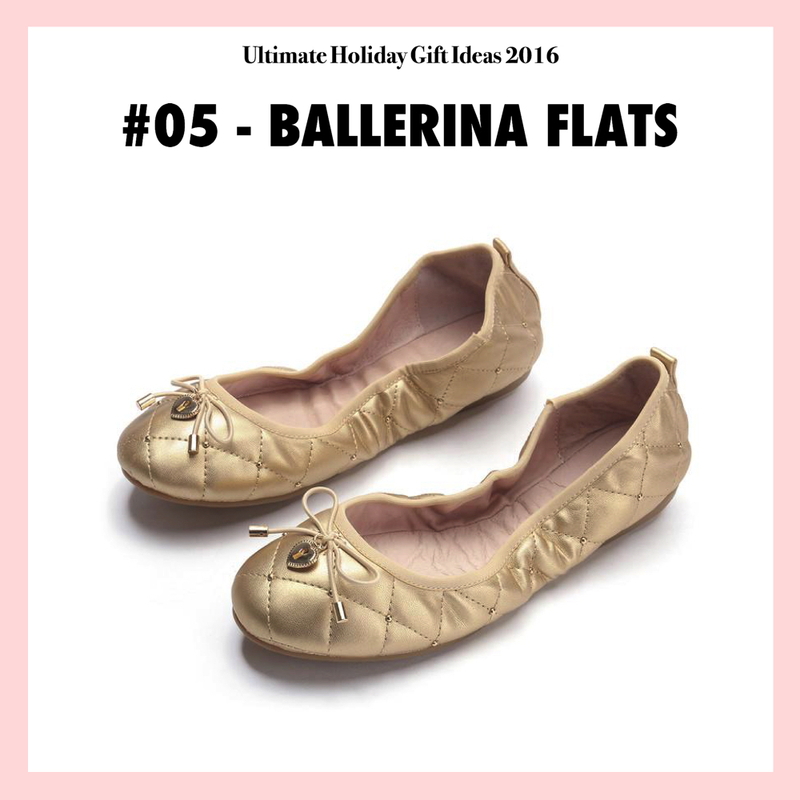 I’ve handpicked this sophisticated gold-tone round toe ballerina flats accented with quilted texture. It comes with a cute ribbon bow and a heart-shaped padlock at the front, which added a feminine touch to the shoes. Besides, with its foldable function feature, it can be stored conveniently in a bag no matter where you go. Explore more ballerina flats from Luulla and be sure to find one that best suits your BFF! Get your best friend some gorgeous timepiece to keep track of the time and the finest thing in life. 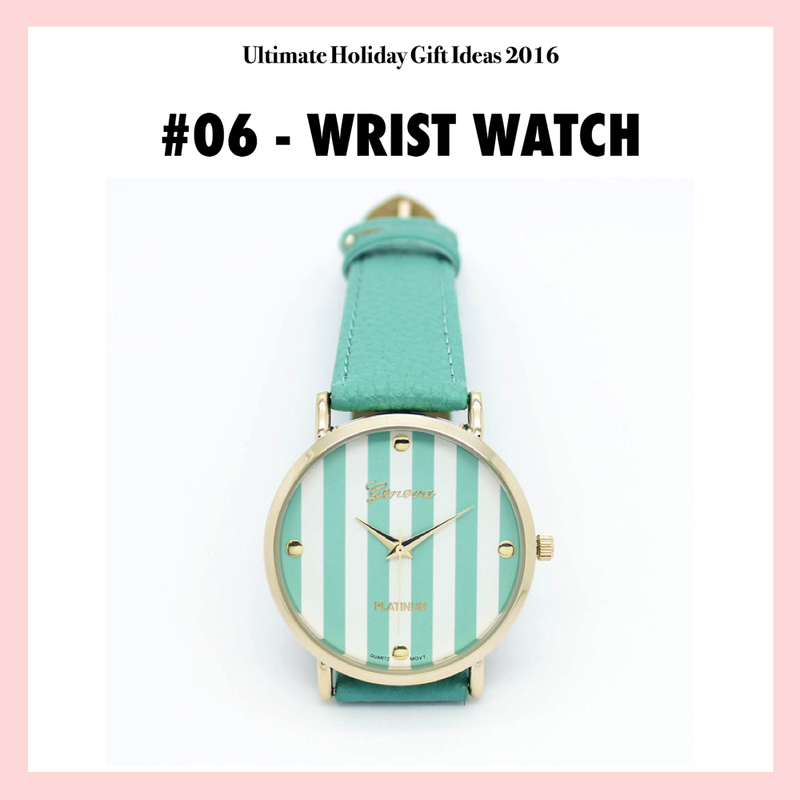 This chic timepiece comes with soft-shaded pastel hue, a delicate gold-tone frame and dial, pretty mint green stripes with white surface, and a leatherette band. Shop more watches from the collection to find the suitable holiday gift for your BFF. Because one backpack is not enough for different occasions. This drawstring soft backpack made from a crisp white fabric and double shoulder strings is perfect for casual occasion such as a light travelling, BFF outing or sports activities. Besides, featuring a “single lady” emoji at the front, your friend will thank you from the bottom of her heart for revealing her “single and available” status. Who knows she might met a cute guy who is also single when carrying that backpack around right? If you want more quirky and one-of-a-kind bags, click the below button for more options! Because your friend needs protection. Case closed. If you have that one clumsy friend who always bumps her laptop against the hard surface, it’s time to get her a laptop sleeve case. 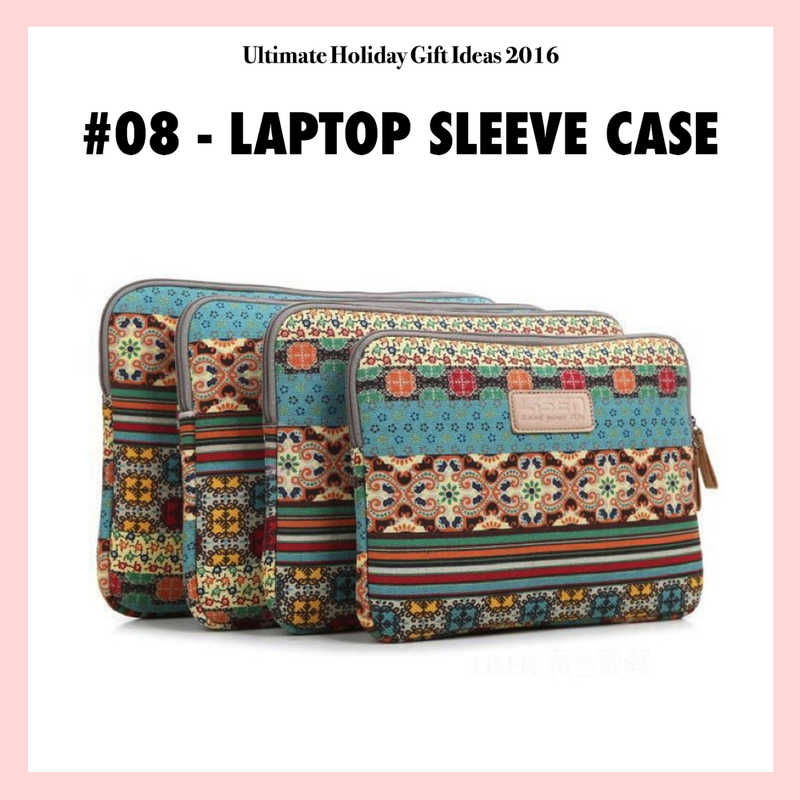 This laptop sleeve case is designed with pretty tribal print which makes it look so boho-vibing and chic. Made from a thick fabric material, it will protect her laptop against scratches and bumps! Want to explore more tech accessories for your tech-savvy friends? Find out more from tech accessories collection! Let’s be true, sunglasses are the seasonless basics that every woman must own to stay protected from the harmful UV rays and of course, to look cool. It will add a great touch of eclectism to your most boring outfits and make your entire outfit look polished AF. This season, cat eye sunglasses are reigning supreme and seem to appear all over the place. 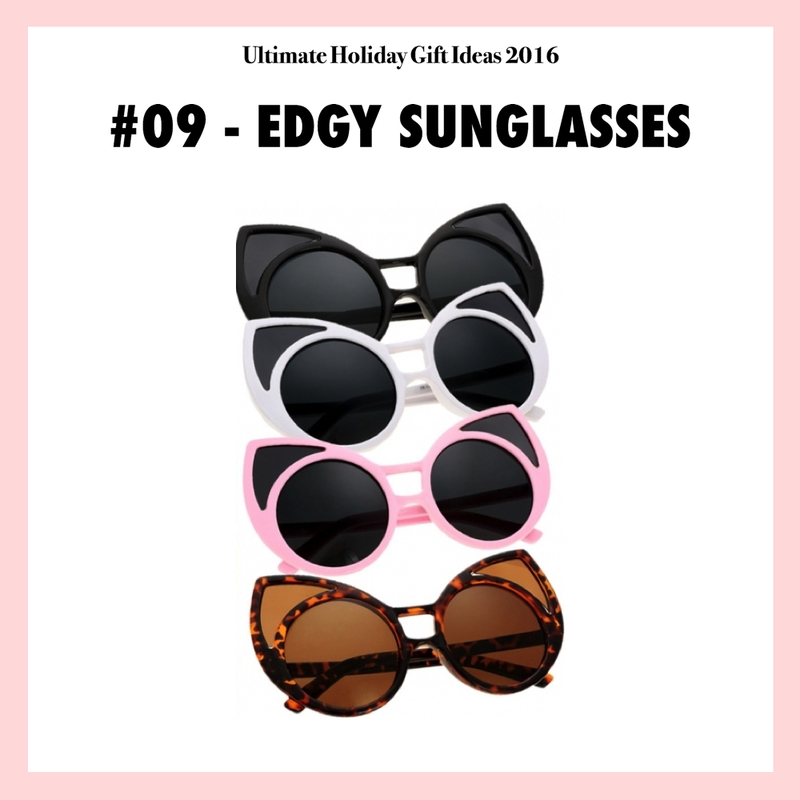 Give your best friend a pair of cat eye sunnies with so many colorful frames to choose from, she will be sure to thank you for getting what she really wants. Explore more about trendy eyewear ranging from retro-vibing round sunnies, colored lens, heart-shaped sunnies, oversized sunnies to classic aviators. A dainty jewelry with a gold-tone curve ball supporting a beautiful oval gemstone. Believe me, every girl loves jewelry and you can never go wrong with it. This exquisite necklace is so versatile it fits perfectly for any occasion. Shop more gorgeous jewelry from Luulla’s handpicked jewelry collection! For that one friend who is obsessed with stationery, she needs this desperately! Like seriously, who doesn’t want a unique notebook to show off in front of her peers right? This notebook comes with 80 pages of unprinted 100gsm textured white paper and a 270 gsm cover. With a size of 148mm x 210mm, you can simply stash it in backpack or tote bag. 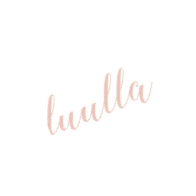 If you want to search for more adorable stationary from Luulla, click the button below and start exploring! 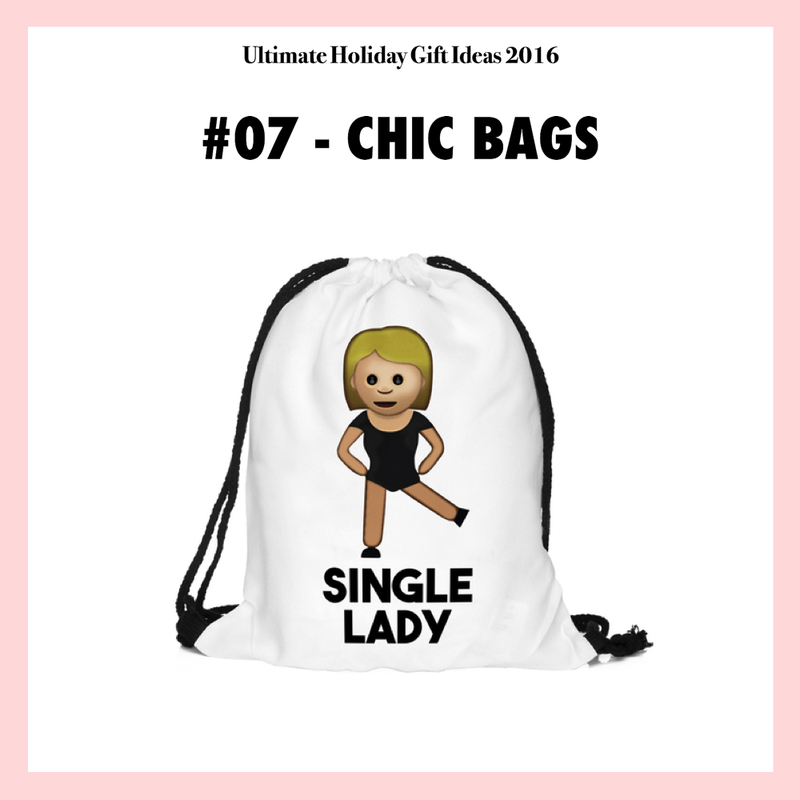 That’s all for today’s topic and I hope you guys found some inspiration on holiday gift ideas for your BFFs. It’s time to start planning now because festive season is just around the corner and we’re pretty excited about it! Nothing feels more awesome than seeing your BFFs jumps happily for receiving a good gift from you right? 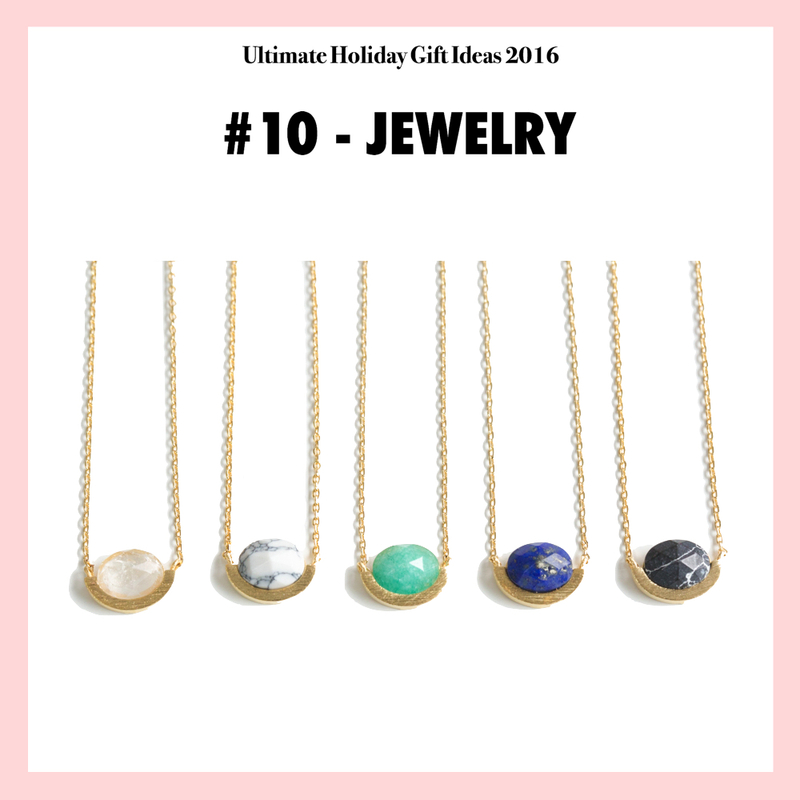 Out of all these holiday gift ideas, which one do you think your BFF would love?